High net-worth divorce can be as complicated as it may be contentious. 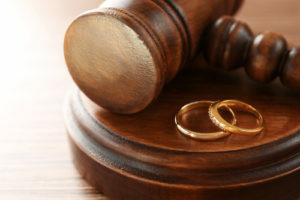 If you will be going through a high net-worth divorce, the single best thing you can do to protect your rights and interests is to retain an experienced divorce lawyer like Scottsdale Attorney Karen A. Schoenau to represent you moving forward. For more than 35 years, Karen Schoenau has been providing the highest-quality legal services to her clients going through divorce, including high net-worth divorce in Arizona. Determinations regarding separate versus marital property – Marital property (or community property) is typically any asset that was acquired during the course of a marriage. However, it’s possible for some separate property to become marital property, and there can be a lot of grey area when assessing whether certain assets are, in fact, part of the community property. Depending on your situation and a particular high net-worth divorce case, fighting to get more or less of the separate property declared to be part of the community property may be in your best interests in your high net-worth divorce case. Businesses – In many high net-worth divorce cases, one or both partners may have at least one business that can be impacted by the divorce. Figuring out how to protect your business in a high net-worth divorce can be critical to its future success, as well as your financial future. Prenuptial agreements – It’s not uncommon for high net-worth divorce cases to involve prenuptial agreements, as people entering into marriage with a lot of their own assets may want to protect these assets in the future. Depending on the details of your divorce, trying to get provisions of prenuptial agreements (or the entire agreement itself) upheld or thrown out can be an important consideration in your case. Whether to file taxes jointly or separately for the year of the divorce. Whether liquidating marital assets (e.g., homes) will have tax consequences. Which parent will claim the dependent child(ren) on their future tax returns. Whether there may be capital gains on liquidated marital property. Do you need help with a high net-worth divorce in Arizona? If so, you can count on Phoenix and Scottsdale divorce attorney Karen Schoenau for honest answers, effective representation, and the best possible outcomes to your case. Since 1987, Karen Schoenau has been committed to providing her clients with the highest-quality legal services and working diligently to help bring their divorce cases to successful resolutions. To receive professional advice and learn more about how Scottsdale divorce attorney Karen Schoenau can help you, schedule an initial consultation with her today by calling 480-467-3435 or by emailing us using the contact form.